Are Post-Operative Drains Beneficial in Total and Reverse Total Shoulder Arthroplasty? What can we expect from the ORTOJ? Coaching Orthopaedic Surgeons: Can Visiting Professors be a Valuable Surgical Coach? 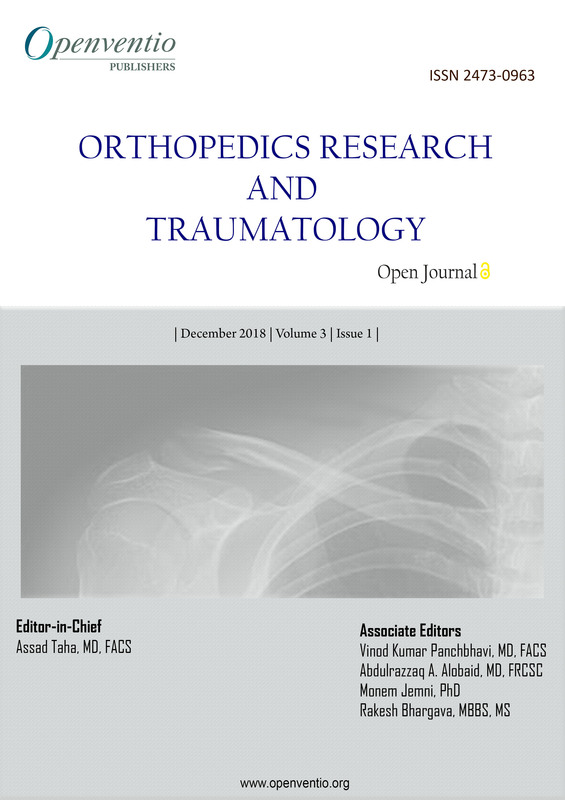 Orthopedics Research and Traumatology – Open Journal (ORTOJ) is an online open access portal encompassing all aspects related to orthopedics and traumatology. Orthopedics is the branch of medicine that deals with the correction or prevention of deformities, disorders and injuries of the skeleton as well as associated structures (ligaments, muscles and tendons) of the human body. Traumatology is often considered to be a subset of orthopedic surgery. It deals with individuals who have experienced or have been exposed to highly traumatic events in their lives and helps them on the road to recovery. Through this journal, Openventio hopes to cater to the needs of professionals in this field with concise yet descriptive information. This journal, with its complete overview on the subject aims to benefit individuals with identification and relevant diagnosis. Openventio encourages documentation of the ever growing medical community to ensure that the data is recorded and passed on to the future generations of practitioners. Submissions for this journal are accepted from all practitioners and students of orthopedics research and traumatology, as well as from experts and novices beginning to explore the field. The audience of ORTOJ includes doctors, nurses, research assistants, local community practitioners, manufacturers, and students of various universities and general communities from different parts of the world. The journal welcomes all types of articles such as original research, review, case-report, mini-review, editorial, short-communication, book review, opinion, commentary, letter to the editor, conference proceedings, technical report, errata, illustrations etc. We are open to receive comments and corrections from subject experts to improve the quality of our journal.